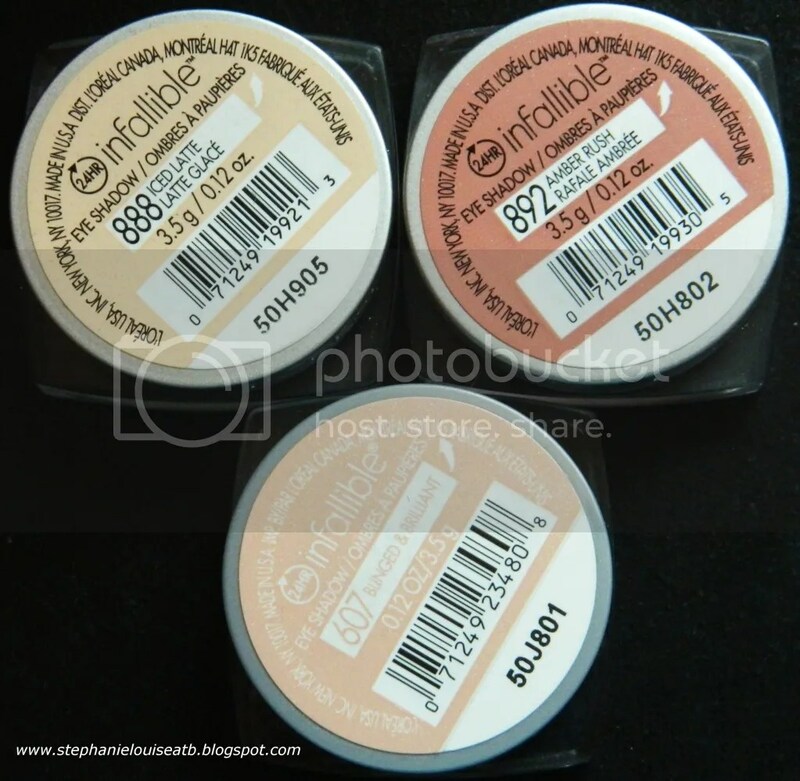 New L’Oreal Infallible Shade in Blinged & Brilliant Dupe Alert & Comparisons! Okay, I know you guys have think I lost it. “Omigosh she finally let the eyeshadow get to her head, she’s telling us NOT to buy a L’Oreal Infallible shade?” I know right! But seriously, there’s a VERY good reason. 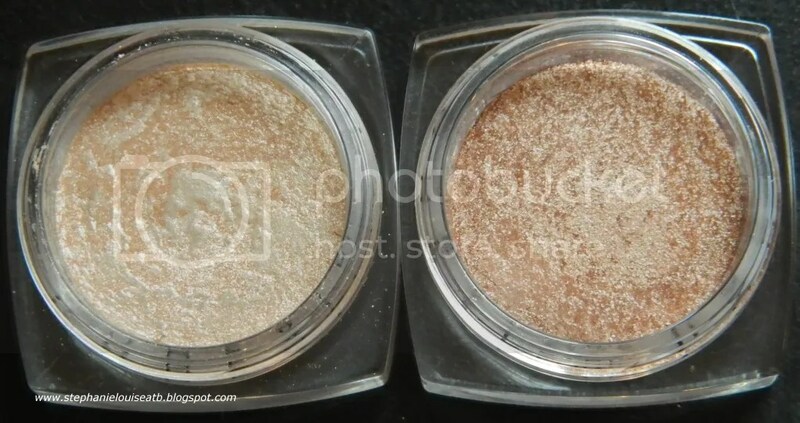 Of course I still love these shades…in fact I love them so much that I own the key to your salvation if you are still unable to find the holiday L’Oreal Infallible Eyeshadow shade in Blinged & Brilliant. 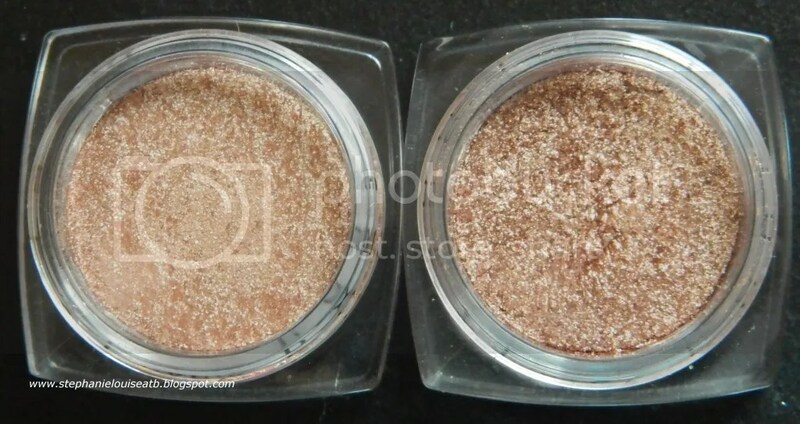 First let us compare Blinged & Brilliant with the 2 closest shades in the L’Oreal Infallible eyeshadow family, Iced Latte & Amber Rush. Left is Iced Latte & right is Blinged & Brilliant: Iced Latte is definitely lighter, whiter, & doesn’t lean copper/brown. 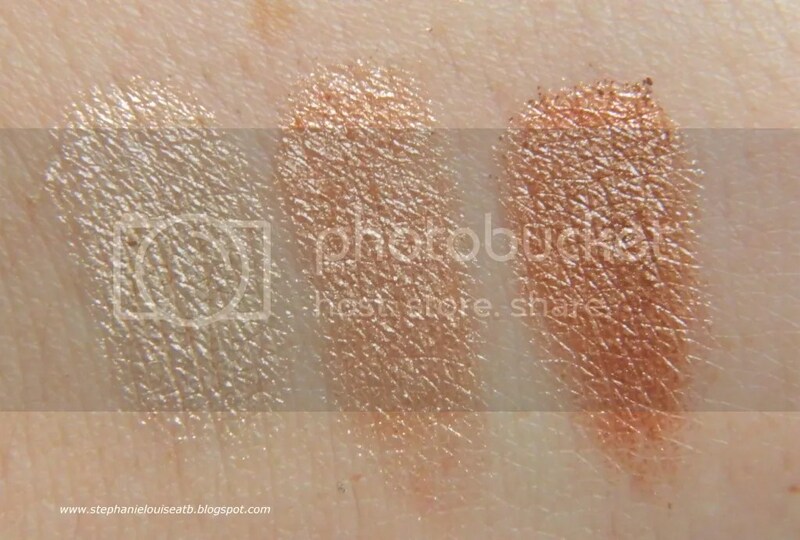 Left is Blinged & Brilliant & right is Amber Rush: Amber Rush is definitely darker & leans more copper. 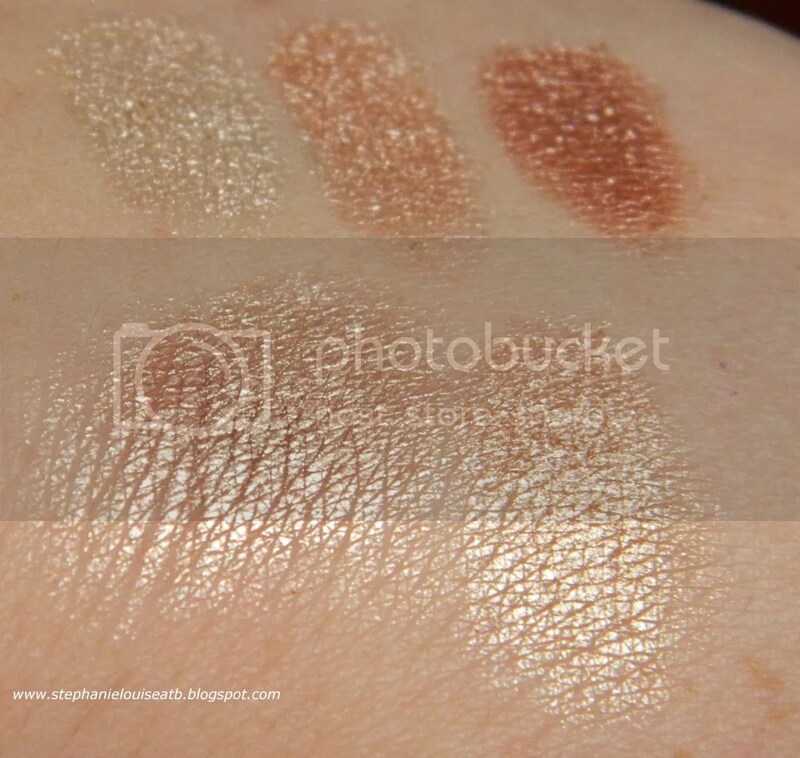 Left to right is Iced Latte, Blinged & Brilliant, & Amber Rush. Iced Latte + Amber Rush= Blinged & Brilliant! On the bottom: left is Amber Rush & Iced Latte mixed & right is Blinged & Brilliant. I’m pretty much positive of this guys. I mixed just a smidge & although if you continuously mix it you’ll get a bit different results, it is most definitely identical. & you know how picky I am about dupes. Like…really picky. Am I mad I bought it? Not at all. I love both Iced Latte & Amber Rush so naturally I love Blinged & Brilliant. 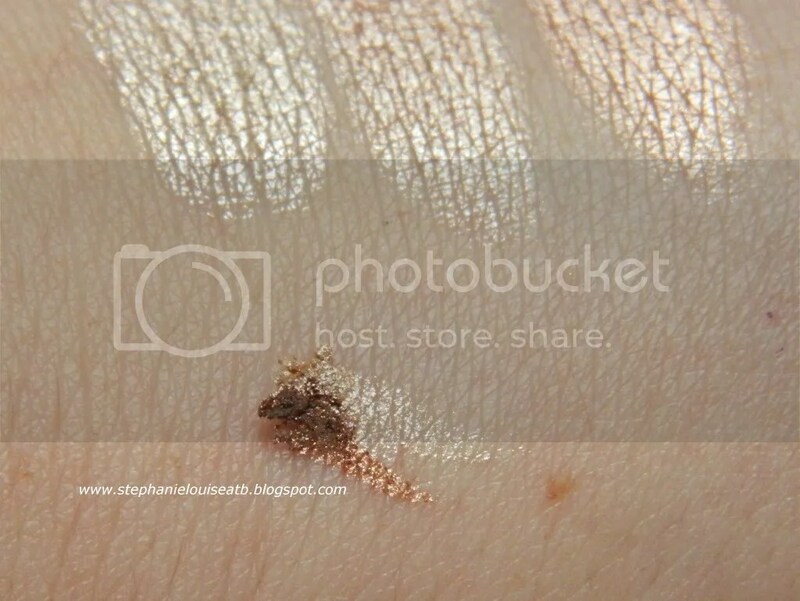 BUT if I didn’t collect eyeshadows like a hoarder (I really do guys) or I couldn’t find the new shade, I think this tidbit would be super helpful! What do you think? Do you use your L’Oreal Infallible shades to warrant purchasing Blinged & Brilliant or will mixing them a bit do the trick? If you dug this, I highly suggest you check out my comparison of the shades Primped & Precious & Liquid Diamond! 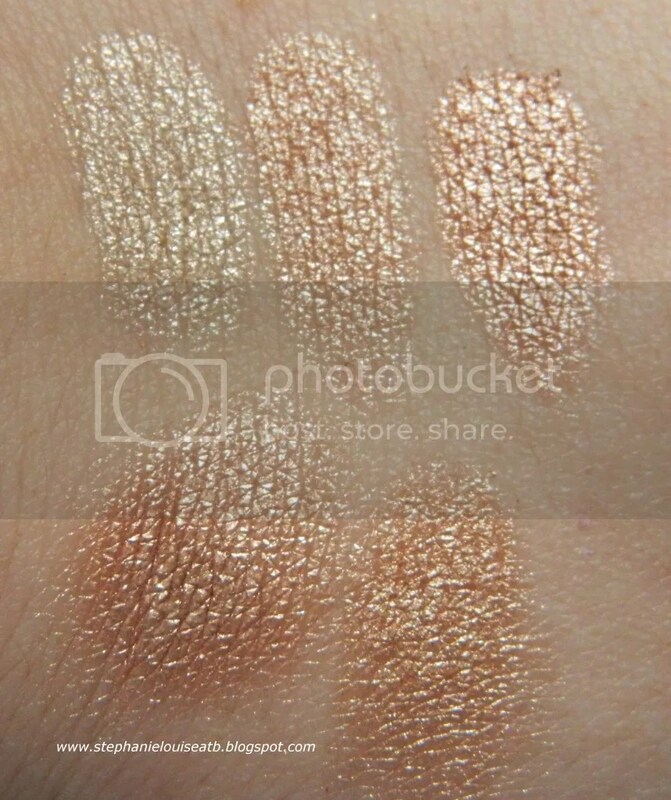 Also check out all 3 of the new shades for the holidays (Blinged & Brilliant, Primped & Precious, & Gold Imperial) swatched side by side!